Night driving. Time lapse city driving, passing through a tunnel and a toll gate. hd00:10Time lapse of driving a car in the city at night time. POV. Hyper laps in the evening downtown. Timelapse. hd00:13San Francisco city driving time lapse using a photo and zoom blur effects. hd00:12car fast in tunnel with. 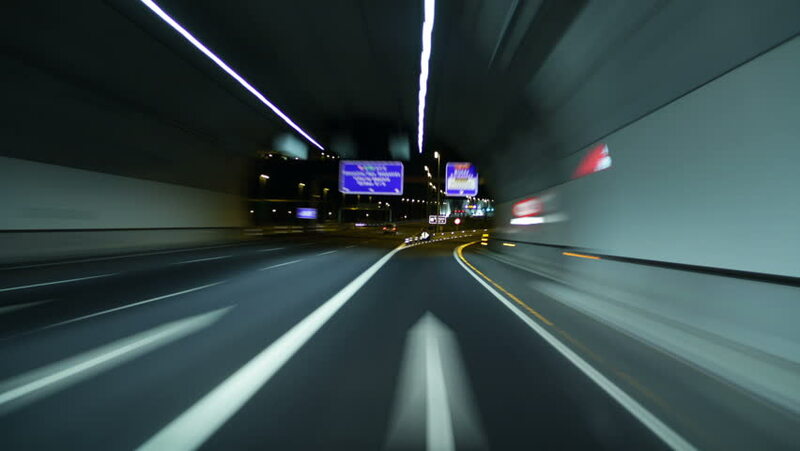 4k00:09(POV) Slow shutter hyperlapse of a car driving through Tokyo metropolitan freeway. 4k00:17Exit from tunnel to Kasumigaseki ramp. Center of government district in Tokyo.